The Problem Israel’s military occupation and twelve-year blockade of Gaza affect every aspect of life. Water is polluted and not safe to drink. Electricity is available only a few hours a day. Unemployment and poverty rates have skyrocketed. And the health sector is overwhelmed trying to meet the needs of nearly 2 million people. Hospitals and clinics have perpetual shortages for medicines to treat chronic illnesses, as well as routine and acute health problems. Patients with life-threatening illnesses are often prevented from leaving Gaza to seek treatment. 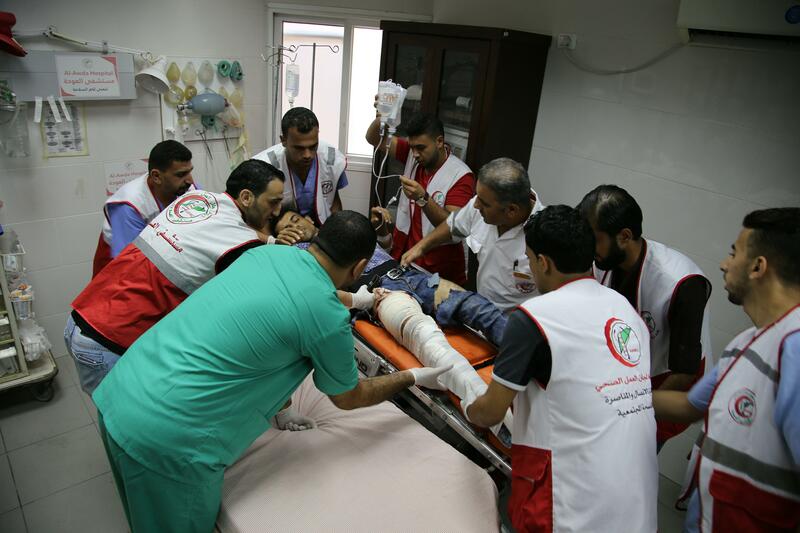 Supporting Emergency Health Services in Gaza Sick and injured people in Gaza need immediate, life-saving help. The Middle East Children’s Alliance has been working in Gaza for 30 years and has sent $25 million of dollars of medicine and medical supplies to local hospitals and clinics in Palestine, Lebanon and Iraq. Now, due to the tightening siege on Gaza, our staff in Gaza need to purchase medicine and medical supplies from private pharmacies to help hospitals and clinics provide urgent services. This campaign will reach people who cannot afford treatment. The funds will make it possible for the people most in need to get surgeries, medicine for chronic illnesses, and treatment for kidney disease. Your support will also provide fuel for Al-Awda hospital, which treats 10% of the injured from the Great March of Return and is the main provider for pregnant women in northern Gaza.